Two makers of feminine hygiene products have recently begun posting an ingredients list for pads and tampons online, in response to consumer demands to know more about what is in the products. Two makers of feminine hygiene products have recently begun posting an ingredients list for pads and tampons, in response to consumer demands to know more about what is in the products. 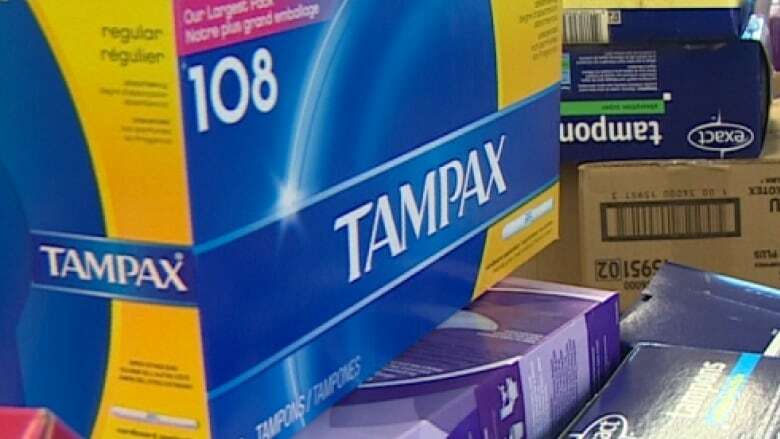 Procter & Gamble, maker of Always and Tampax, and Kimberly Clark, maker of U by Kotex, have posted ingredients for the products on their websites in addition to information included in the packaging. A Kimberly Clark spokeswoman said the recent move is a response to consumer questions. "For additional transparency and in response to recent consumer questions, we have posted an ingredients page for U by Kotex products on the product stewardship section of our website," she said in an email to CBC News. P&G's media relations department said its websites have always had information to address the most common questions asked by consumers. "Listening to our consumers is an ongoing process and we routinely update our resources, as we have done recently with Always and Tampax websites, based on input and feedback," P&G said in an email. A U.S. women's health advocacy group, Women's Voices for the Earth (WVE) has been campaigning for more disclosure around ingredients in feminine hygiene products, engaging voices on Facebook and protesting in October outside the P&G annual general meeting. "We are pleased to see that these manufacturers now understand that there is consumer interest in this information, and have acted on that," said Alexandra Scranton, WVE's director of science and research. Because the U.S. FDA classifies feminine pads and tampons as medical devices, there is no requirement to list ingredients, so any information is better than none, she said. The group also met with each company to explain concerns about inadequate information. Kimberly Clark said it already listed ingredients on the packaging of its U by Kotex products, while P&G has ingredients on product information sheets inside the package. However, WVE expressed concern about the chemicals used in "flex foam," "adhesives" and "fragrance," as well as how materials such as cotton and rayon used in pads and tampons may have been treated as it was grown or processed. "We believe that women need more information about what these generic terms mean — and what chemicals they include," Scranton said in an email to CBC News. Recent awareness campaigns on Facebook highlighted the presence of glyphosate, a herbicide which may be used in the production of cellulose, in tampons as well as other agricultural chemicals that women might not want to put next to their skin. "Because these are contaminants that might be found in a product as opposed to actual components — they are often termed "unintentional ingredients." And currently there is little to no precedent in labelling laws that require unintentional ingredients to be disclosed," Scranton said. She highlighted the lack of research into the potential impact of these chemicals on women using tampons and said it is difficult to verify when companies claim their products are free of chemicals. The Kimberly Clark spokeswoman said the company has long-standing and ongoing testing for trace chemicals in its products. The FDA first implemented regulation of tampons as medical devices in the 1980s after ingredients in some superabsorbent products led to toxic shock syndrome that killed some users. Health Canada has no requirement for ingredients on pads and tampons. It does require a warning about toxic shock syndrome and a description of the product's absorbency on a package label or insert to the package.